Having qualified in 1981 at Guys Hospital, I spent my early professional career in the Dental Branch of the Royal Air Force. Their ideals were to advance the professional training and promote the ethos of providing the best dental care possible for our patients. I served mainly in the UK but had several months in the Falkland Islands, 3 years in Hong Kong and 2 months in Cyprus on the Aeromedical Evacuation Squadron during the first Gulf War. I passed the Membership examination of the Royal College of Surgeons in General Dental Surgery in 1992 and, having been in the RAF for 16 years, I decided that as I was enjoying General Practice Dentistry it was time to buy my own Practice rather than becoming mainly an administrator. 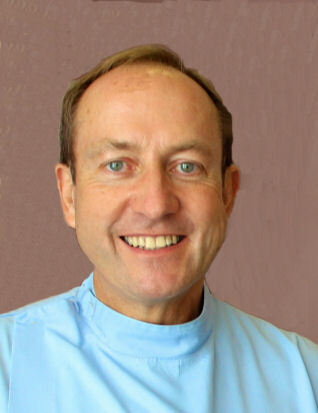 I became the Principal of the Nyewood Dental Practice in 1995 and have continued to enjoy providing Dentistry to a delightful group of people and, happily, their numbers have increased year by year to such an extent that I needed another dentist to cover the demand both now and in the future. Unsurprisingly, I looked toward the Services for someone who has suitable experience in providing the same degree of patient care. During my RAF days I provided care for the Gurkhas, both in Nepal, Brunei, the Falklands and in Hong Kong so when the opportunity arose to do some voluntary work for the Gurkha Welfare Trust in their Centres in Nepal I took no persuading. The dental camps provide pain relief for ex-Servicemen and the local villages in areas where there is little or no dentistry available within several days travel and I have recently returned from my 9th annual trip. The Nyewood Dental Practise actively supports the Trust with Fund raising activities as well as helping to procure items to enhance the provision of safe dentistry by the Trust. In my spare time I will play any ball sports but particularly golf at Goodwood, cricket for the MCC in their outmatches and Real Tennis at Petworth and for the RAF. 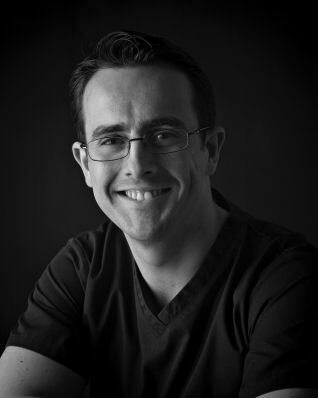 I have been part of the team here at Nyewood Dental Practice since July 2013. I feel very fortunate to be part of such a friendly and professional team. I qualified from Cardiff Dental School in 2005. After completing my vocational training in South Wales I worked in Australia before returning to the UK to begin a six year commission as a Dental Officer in the Royal Navy. During this time I passed the membership exams for the Joint Dental Faculties at the Royal College of Surgeons of England. I have always strived to keep up to date with the latest developments within the profession so that I can provide my patients with the best treatments available. I have completed a post-graduate certificate in Advanced General Dental Practice at Kings College London, undertaken a 12 month course in aesthetic, restorative dentistry run by the highly regarded Christopher Orr as well as many other shorter training courses. I strongly believe in providing high quality, minimally invasive dentistry wherever possible and ensuring that my patients fully understand the rationale behind all decision related to their care. Away from dentistry I enjoy playing golf, keeping fit and spending time with my wonderful wife Pippa and sons Benjamin and Edward.